David McCord wrote and edited over fifty books of poetry for children, and I’d like to start the “reading and loving” with this gorgeous piece of work from his book Every Time I Climb a Tree. And the title poem of that same book (click to enlarge). Listening to Lee’s stories and recollections about these poets has been an honor and a delight, and I hope you think so too. Without further ado, here is the first in our new video series. Here is some of that marvelous wordplay Lee was talking about (click to enlarge). Should poetry for children have any special characteristics? Yes, I think it should have one: It must be written, first of all, just for yourself. There’s always a question of how much didacticism you can put into a poem for children. You never write down to children. You can never look at children individually or in a group and say, “I know what you’re thinking because I was your age once.” You were their age once; but you haven’t the faintest idea of how you then thought or the way you phrased what you thought. So you must write for yourself and, if you don’t please yourself as a writer, you won’t please children or grownups or anybody. Perhaps the first thing any artist has to learn is to please himself within the framework of whatever medium he’s working in. So poems for children should be simple and should please the poet as he writes them. The teacher part of it should stay out of the way as much as possible. You are talking to children about something a child is familiar with, but also (perhaps) an aspect of it which the child has overlooked; or at least one which the child has viewed in a way quite different from the poet. 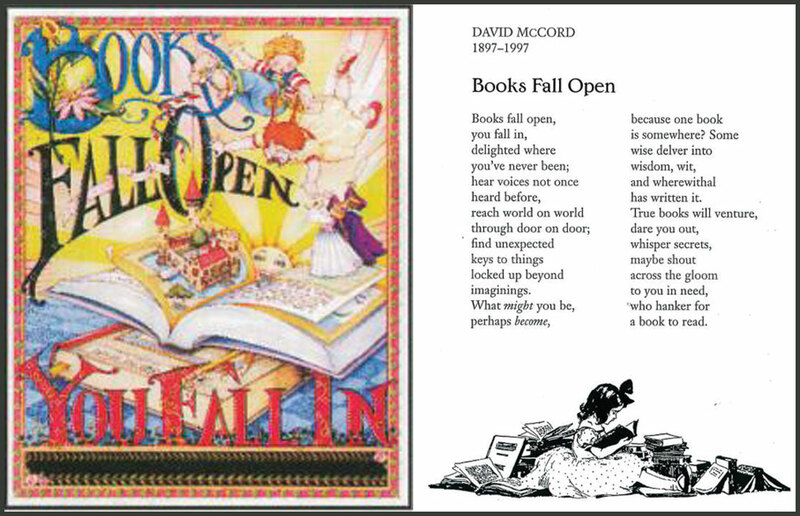 And now I can’t resist ending with the beautiful poem “Books Fall Open,” with a poster designed by Mary Englebreit. Laura Shovan is waiting for you over at Author Amok. Get over there lickety pickety lickety split! All poems © David McCord. All illustrations © by respective illustrators. All rights reserved. Maavelous!! Thank you, Renee and Lee for the interview! Love the paisley, Lee! Wonderful post, Renee! I’m glad you’re back! McCord’s poems are stunning- such beautiful rhythms and sounds. I look forward to learning about the others! Thanks! Sadly, the lounging was limited. But at least we have videos! Love McCord’s work, and wonderful to hear Lee’s take on it. Thanks for taking the time to put this together! 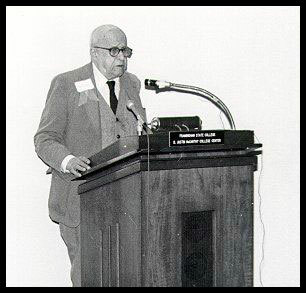 “…good poems for children are never trivial; they are never written without the characteristic chills and fever of a dedicated man at work; they must never bear the stigma of I am adult, you are a child.” – D.M. I am so grateful to both of you for shining a spotlight on David McCord and on all of our NCTE award winners. It is a true gift for our community and for child and adult readers of the future. I am holding David’s definition of poetry close. Listening to Lee, I’m wondering what else we might all do to preserve the voices of poets reading their own poems. Ah, Amy, that’s a good question. My dream would be to do a coast-to-coast poetry video tour, hopping from state to state and poet to poet, gathering poems and poems and poems. Wouldn’t that be the best project ever? Sigh. Thank you Renee and Lee for introducing me to such a wonderful poet. I’ve always been a bit daunted by poetry and now I’ll have a place to learn about excellent children’s poets. What a beautiful definition of poetry. Haha, thanks, Charles! It came to me in the moment, but you’re right – it’s quotable and pretty much sums up poetry for those who are afraid of it. 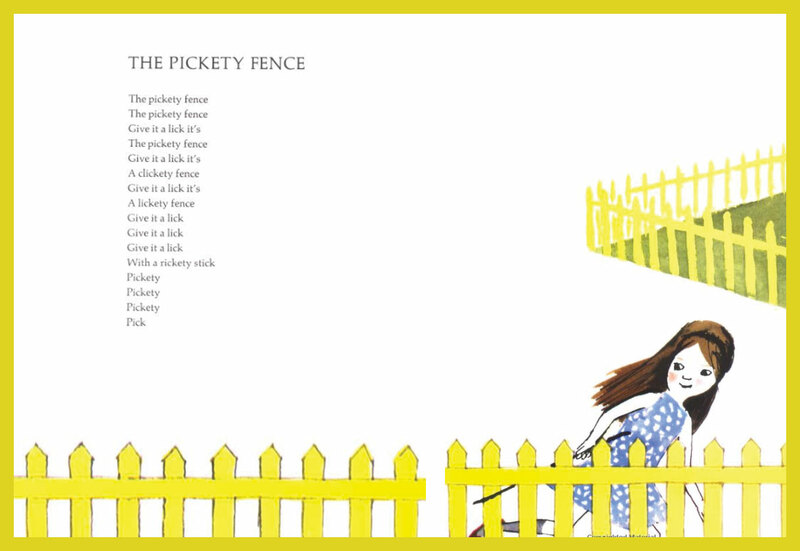 Love Pickety Fence…it pairs seamlessly with the clickety clacking of my keyboard. I will sing it in my head all day long! Isn’t that great! I’ve been pickety picketing all day! It is the inevitable said so casually that the reader or listener thinks he said it himself. That’s my favorite line, too! It’s exactly what I thought the first time I read Karla Kuskin’s poetry. Awesome, Renee. I’m so excited about this series. Great interview with Lee! “There is nothing dated about David’s work” – perfectly said by Lee. What a terrific start to this series, and so generous of both of you to share with us. I hope Lee’s reading of David’s definition of poetry, with the lovely script added by you,Renee, is broadcast in classrooms everywhere. Thank you both, and I look forward to even more gems to come! Wouldn’t that be lovely, Robyn? We can only hope teachers will share this with their students. “Perhaps the first thing any artist has to learn is to please himself within the framework of whatever medium he’s working in.” So true! 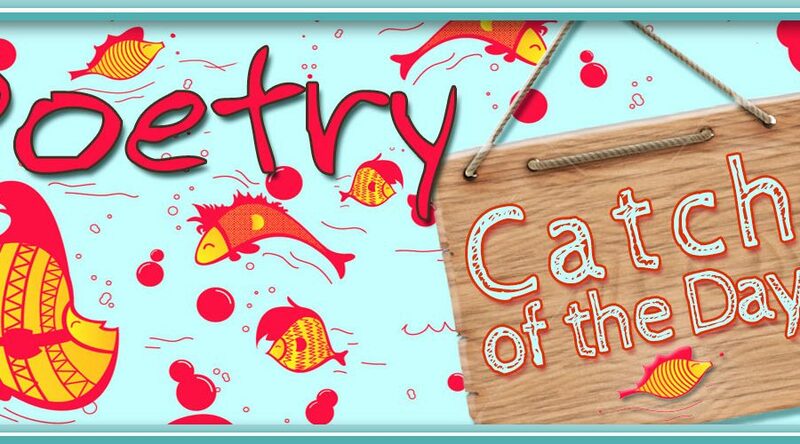 What a fabulous idea to do this series on NCTE poetry winners–looking forward to each and every entry! Thank you, Renee!!! That was marvellous, Renee and Lee. Thank you! Thanks Renee! I love, love David McCord’s poetry! Thanks so much for supplying great information and preserving children’s poetry history. Thank you for helping us dedicate ourselves to our craft. What a fantastic resource. thanks also to Lee Bennett Hopkins, this is marvellous. Will you be including the Opies? I’ve been on a quest to learn more about them. I am already loving this series! Completely inspiring. I absolutely adore David McCord’s definition of poetry and the extra dose of “special” that came from Lee reading it! Thanks, Penny! I love it too – the stories, the memories, the great poetry. Sigh. You have just created a new and adoring McCord fan! Thank you! Had to hold my heart in my hand as I read David McCord’s thoughts about poetry (shared it as well on my Facebook account). And I thought I knew about picture books for children! I haven’t read any of these classic works before. I am also a huge fan of Marc Simont so my eye was caught by “Every Time I climb a Tree” – but like Erik, I fell in love with “Books Fall Open.” Just gorgeous. Your blogposts are always works of art, Renee. Just beautiful. Renee – love David McCord, especially his Lickety poem! Great start to a wonderful series. I’m looking forward to your posts and Lee’s comments! What a great idea! Wonderful post! I am very much looking forward to the series. I loved McCord’s words about what poetry is. Thanks for a fabulous series! Can’t wait for the other 16! What a treasure!! This is a wonderful, Renee! 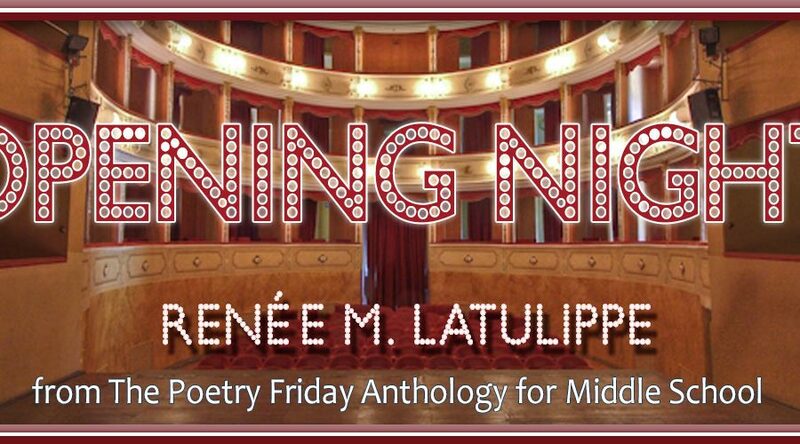 David McCord’s poems, thoughts about poetry, and memories from Lee Bennett Hopkins. So much wisdom–“…It is the finishing touch to what one could not finish. It is a hundred things as unexplainable as all our foolish explanations.” Looking forward to the rest of the series. Thank you so much for sharing! Yay!! You’re back! 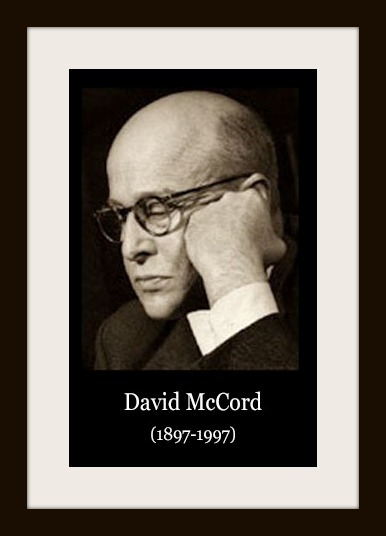 I loved learning about David McCord and can’t wait for the other profiles. Would you believe I heard about Eve Miriam from my father-in-law a couple of years ago when he took a writing class in his assisted living home? I read the handouts he got of her poetry and loved them so I can’t wait to read what you write about her. I really should learn more about the poetry world given that 90% of what I’ve sold to the children’s market is poetry. 🙂 You are a perfect person to learn more from! We can talk poetry any time, Teresa! Maybe you should try out for March Madness 2014…? Oh this made my day! To have the wealth of knowledge that Lee has and to archive that generous man’s thoughts is SO IMPORTANT! Thank you Renee for doing this. I can’t wait for his thoughts on the other 16 winners. Especially looking forward to the series on Esbensen, Worth and Ciardi. Bravo!!!!!!!!!!!!!!!!!!!!!!!!!!!!!!!!!! What a huge and fabulous undertaking, Renee! It’s no wonder you’ve been so crazy busy… but all worthwhile, my dear. This first installment was so rich and satisfying! I’d like to stand in the middle of David McCord’s definition of poetry and just let it wash all over me. And I agree with Charles, your own spur-of-the-moment definition of poetry was pretty nifty as well! 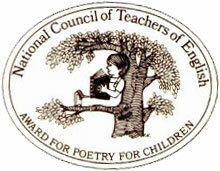 Thanks for offering such a great service to the whole children’s poetry community. What a wonderful start to what promises to be a priceless series! It was a treat to see and hear Lee talking with such enthusiasm, insight, and knowledge about the marvelous David McCord.